Just a short summary today. not at all like the usual RPG ending but I won’t spoil why of course. bosses since strategy and planning before the battles is important. game but there is 50+ better games to play on the console! all of them but feel free to take a peek. Both Full Metal Alchemist games arrived today and I must say that I am glad to finally have them, I don’t know if they are good games but I will try to play them in the near future! Currently I’m giving Mega Man X Command Misson a chance, a game that I have heard very little about. So far it is decent enough, as expected not the best of stories and far to many random encounters even if it is quite a sight to see that in a Mega Man game. At least the battles work really good, just like in FFX you get to see the order in which the enemies will act and best of all you get to switch party members freely. 3 of the more expensive ones on the way already…! Legend of the Galactic Heroes! finally get an offical english release after all these years! bought the license for the show and plan on translating it! Amazing. probably needs some new components but 2/3 is not bad. for the D-pad, oh well. in the Buy/trade/sell section so feel free to take a look! Oh well, here is another mountain of defect consoles, controllers etc! 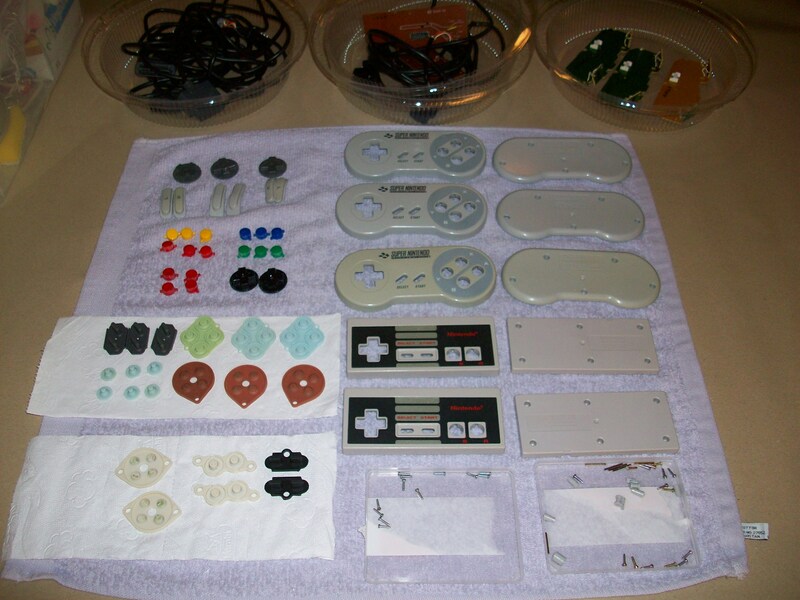 of Megadrive/ Genesis controllers and power supplies which I really need! quite generous even if it is a lot of work. 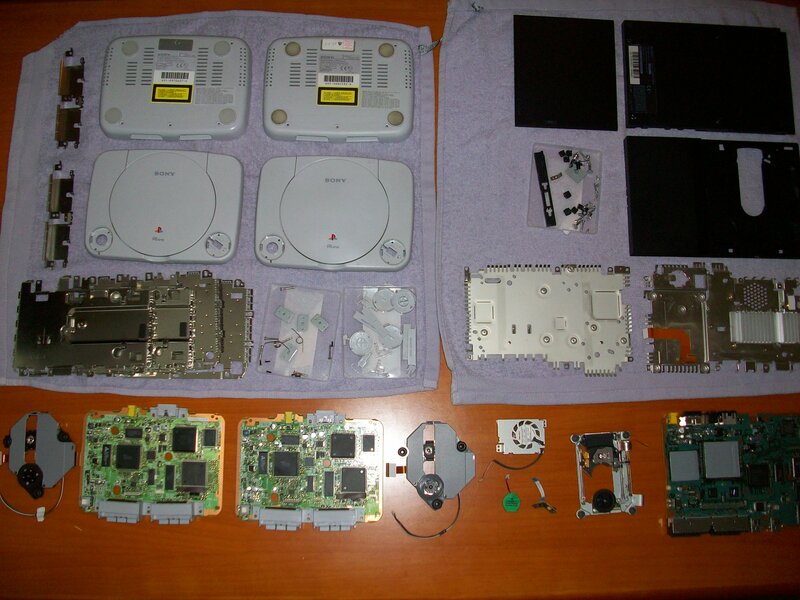 putting everything togheter again and see how it works! 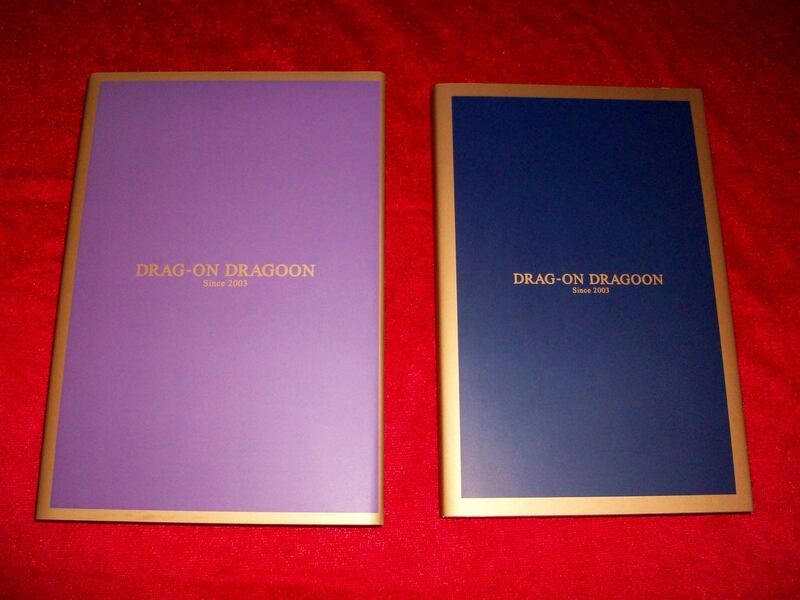 The Drag-on Dragoon 10th anniversary box! 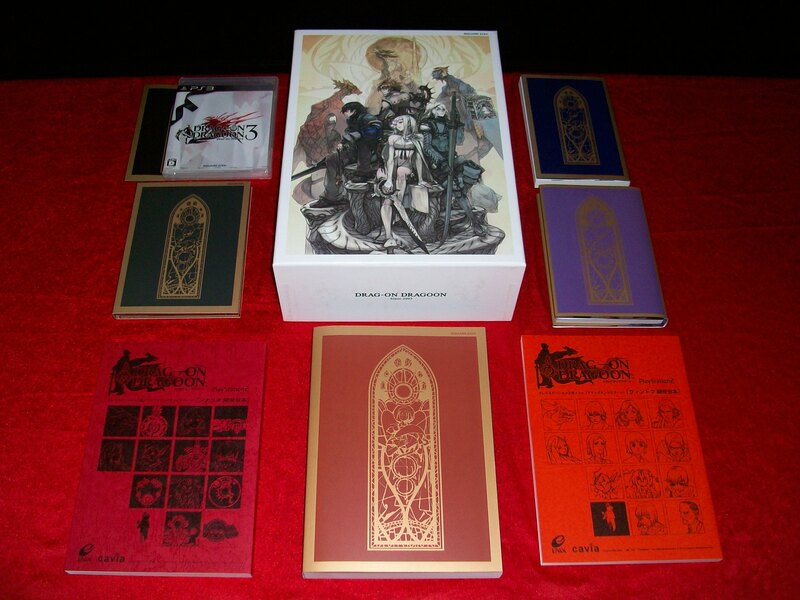 from all four games, yes even Nier and his dra- book! 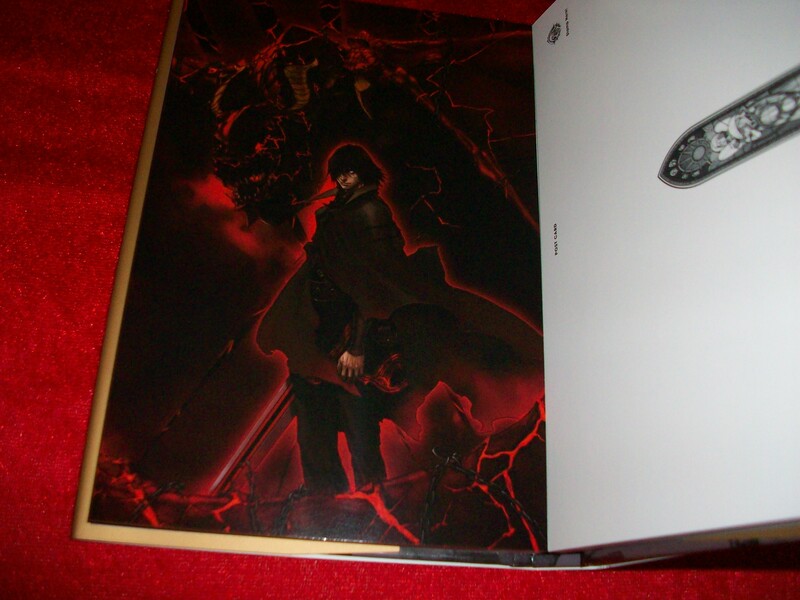 The box is massive and only has one small logo in the corner, ahh. 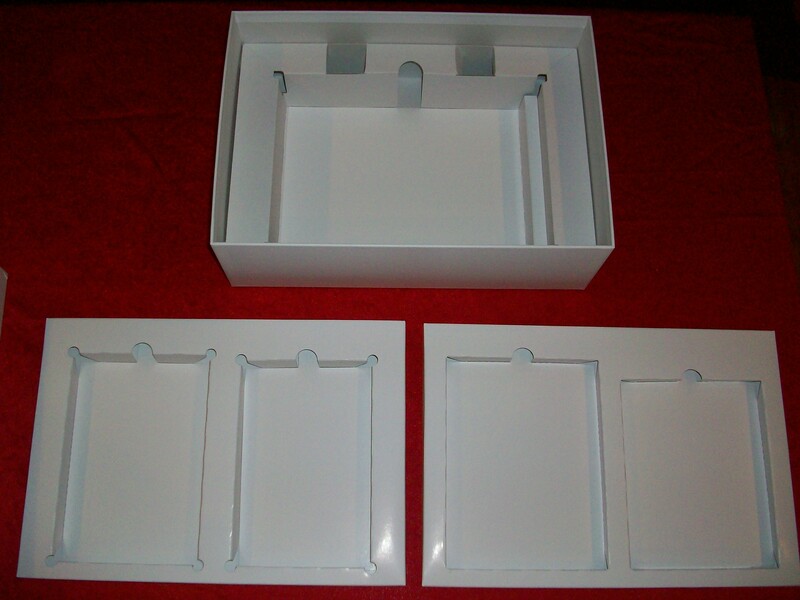 hold in place by these trays. no risk of damageing anything when you open it. 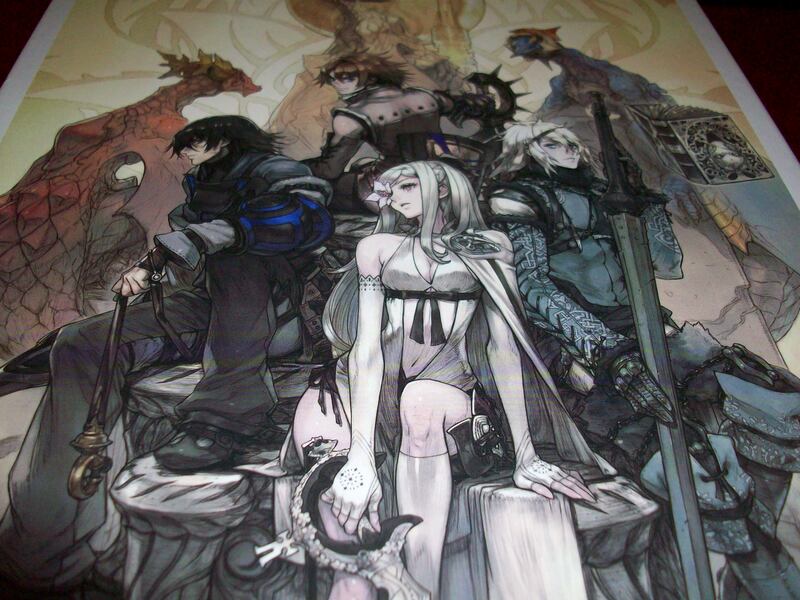 First we have the normal game and some codes to get Nier costumes and some good remixes of Nier music. 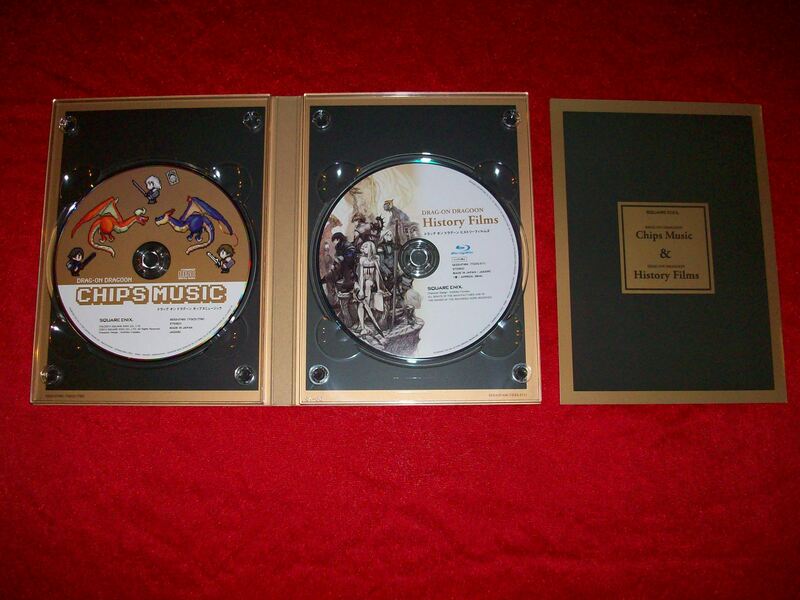 Then we have a case with one CD and one DVD, the CD contains some intresting chips music (haha) from all four games, some Nier tracks I hadn’t heard before! The DVD remains a mystery for now. 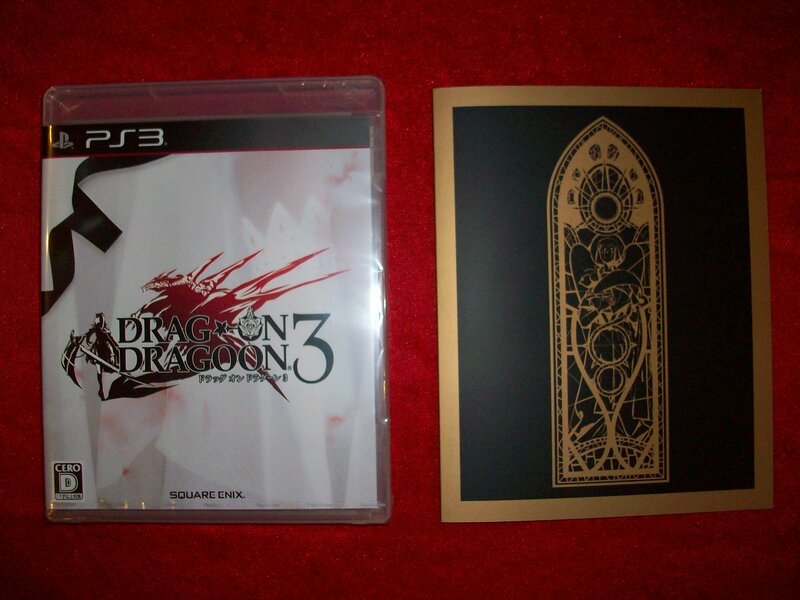 To the left is a postcard book with art from all the games, to the right a novel that talks about the events before Drakengard 3. The postcards have ridiculously high quality. 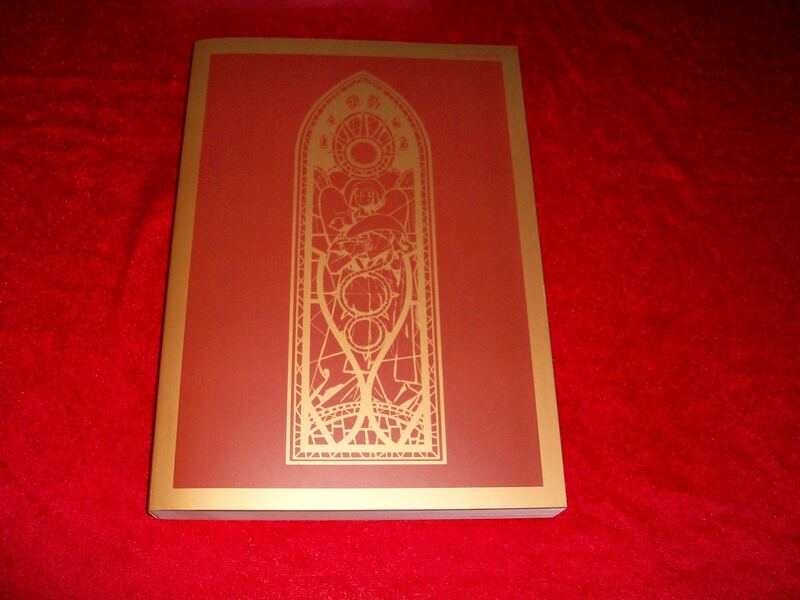 This is probably the highligth of the box’s inside, a book with 300+ pages filled with art, information about all four games, interviews etc. 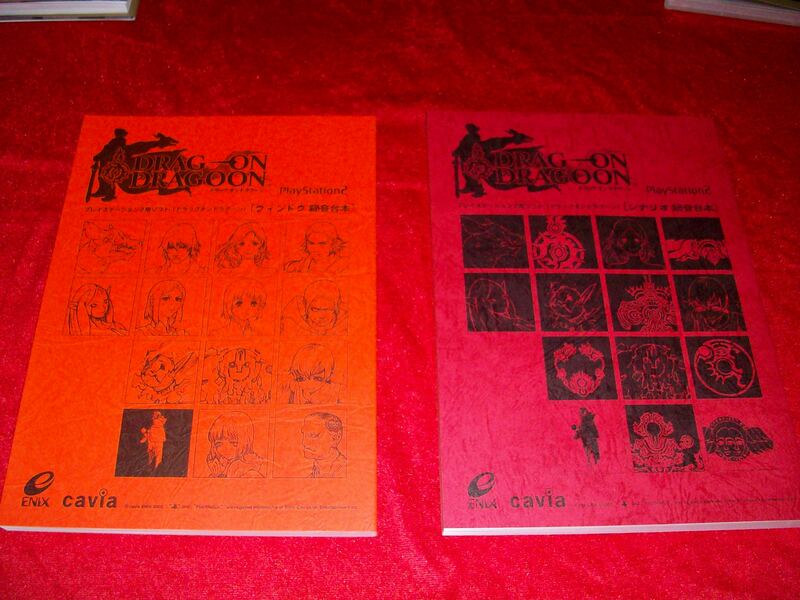 There is even a mysterious page that says Drag-on Dragoon 4 and has has the PS4 logo… it might be a joke or a very obscure way of revealing a game? 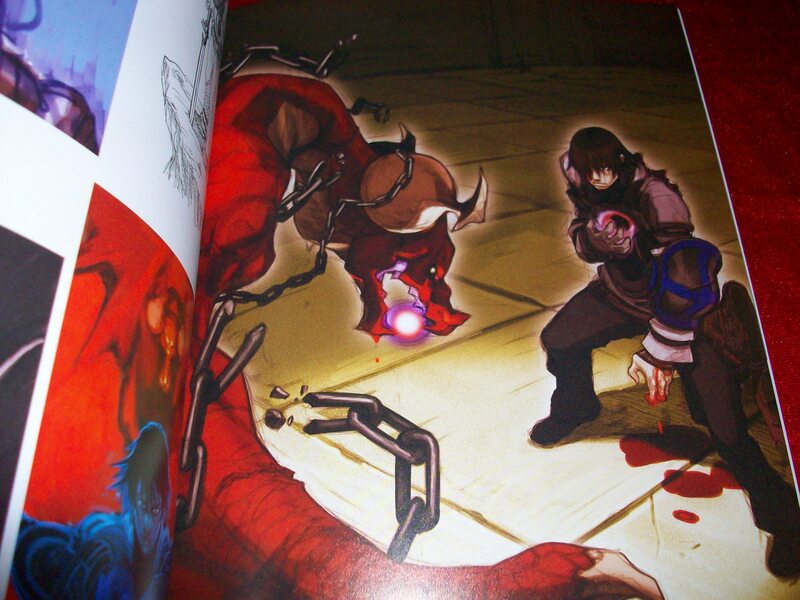 One of my favourites, Caim making the pact from the first game. 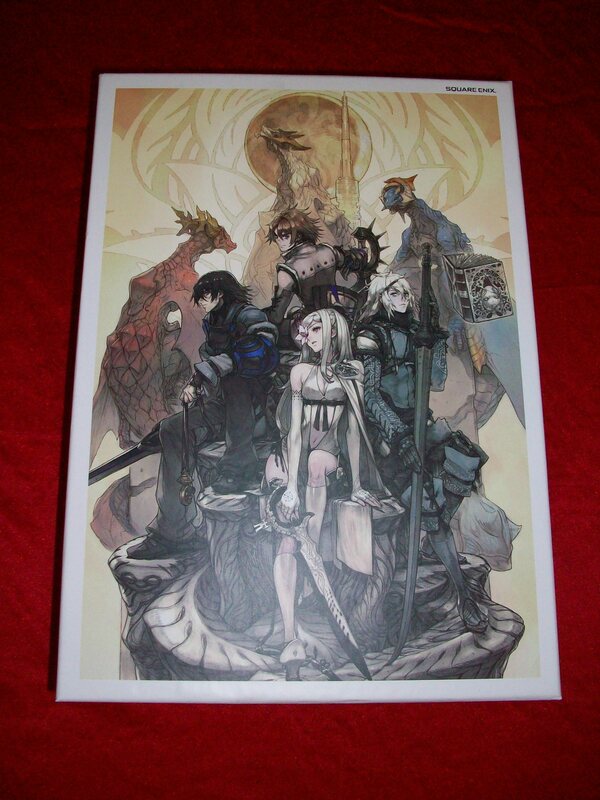 These two are “just” the script from Drakengard 1 and 2, a really cool material even if it dosn’t show in the picture. 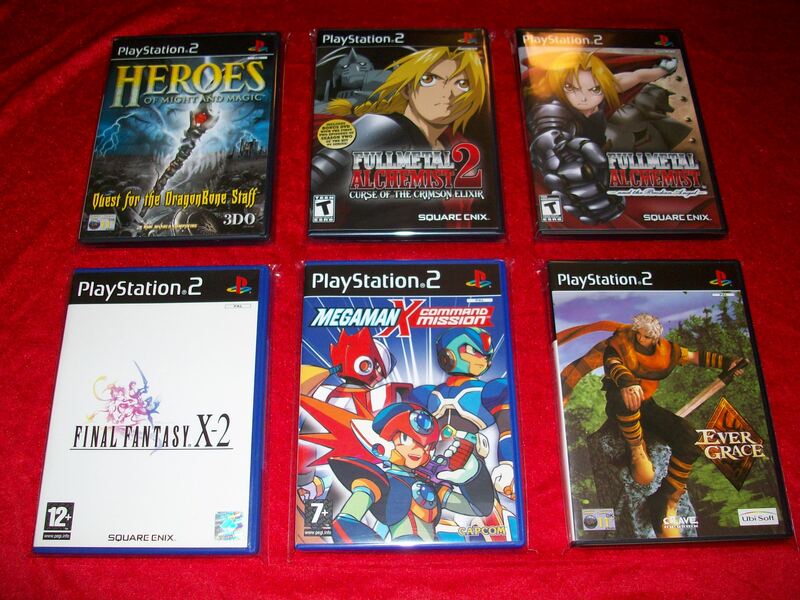 Lastly an overview of this crazy box, in total 5 different books, wow!